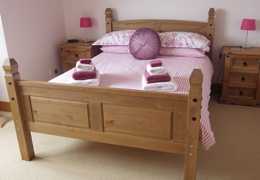 Room 1 - Double Room, with a double bed fine Egyptian cotton and luxury towels. Double fitted wardrobe provides a large hanging and storage area. Bedside cabinets with drawer storage area, writing table. leather bucket chair and full length mirror. Tea/coffee making facilities and a hair dryer. The en-suite is well complimented with luxury toiletries, and a double sized power shower \the room overlooks the panoramic sea loch. 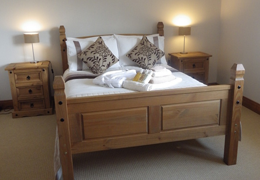 Room 2 - Twin Room, with single beds, fine Egyptian cotton and luxury towels. A double fitted wardrobe provides a large hanging and storage area. Bedside cabinet with drawer storage area, writing table, leather bucket chair and full length mirror. Tea/coffee making facilities and hai rdryer. There is a large private bathroom, complimented with luxury toiletries. The room overlooks the loch and hills. 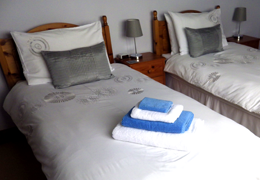 Room 3 - Double Room, with a double bed fine Egyptian cotton and luxury towels. Double fitted wardrobe provides a large hanging and storage area. Bedside cabinets with drawer storage area, writing table. leather bucket chair and full length mirror. Tea/coffee making facilities and a hair dryer. 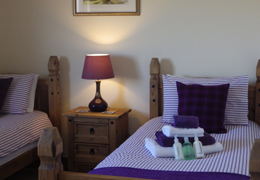 There is a private shower room well complimented with luxury toiletries, and a power shower. This room overlooks the loch and hills. Room 4 - Twin Room, with single beds, fine Egyptian cotton and luxury towels. A double fitted wardrobe provides a large hanging and storage area. Bedside cabinets with drawer storage area, writing table, and mirror. Tea/coffee making facilities and a hair dryer. The private shower room is complimented with luxury toiletries, and a power shower. This room overlooks the panoramic sea loch.